With coffee being one of the most popular beverages in the world, roasters across the globe must meet the growing demand for supplying the highest quality coffee to their customers. The biggest criteria for a delicious, high quality cup of coffee is maintaining the freshness of the roast and its shelf life to ensure unsurpassed quality long after the packaged coffee leaves a roaster’s facility. One of the worst enemies of a fresh coffee roast is oxygen. You and I can’t survive long without it, but the presence of oxygen is a killer for a cup of java. Oxygen (oxidation) in coffee packaging can quickly degrade the quality of a roast or grind that will ultimately rob the alluring aroma and taste from our morning ritual. Fresh coffee is great coffee and the proper packaging is so important for freshness! So how do we keep oxygen, the “Coffee Killer” out of the package to ensure freshness and customer satisfaction? The most popular method is Modified Atmospheric Packaging (M.A.P.) or Nitrogen gas flushing. Nitrogen gas flushing is simply a method of introducing inert nitrogen gas into the bag during the packaging process. As the odorless, inert Nitrogen is flushed into the package, oxygen is displaced allowing the coffee to keep its freshness with a longer shelf life to preserve its quality. If you do your research, you will find that numerous taste tests have been conducted to prove a Nitrogen flushed bag of coffee brewed several days or weeks after packaging retained its delicious just roasted taste, freshness, and quality compared to a bag that was not flushed. The proof is there, Nitrogen gas flushing is essential to coffee packaging. Now that you know how important gas flushing is, let’s talk numbers. What is the ideal residual oxygen level to ensure quality, freshness, and increased shelf life to keep your customers happy and returning for more? Tests have shown oxygen levels above 5% can cause significant oxidation and effect the coffee’s freshness and quality within days of packaging; therefore, the minimum recommendation is no more than a 3% residual oxygen level. Many roasters that strive on high quality and customer satisfaction seem to be more stringent. This roaster will push for lower levels to protect their coffee’s flavor and freshness for an extended amount of time; especially ground coffee that is more sensitive to oxygen degradation. Being able to achieve lower than the minimum recommendation will open the door for more opportunities to a contract/private label roaster. More often than not, when bidding on a contract, especially with the “big guys”, the required residual oxygen level must be consistently 2% or below. Having the ability to achieve this level could be the difference of getting a lucrative contract or not. 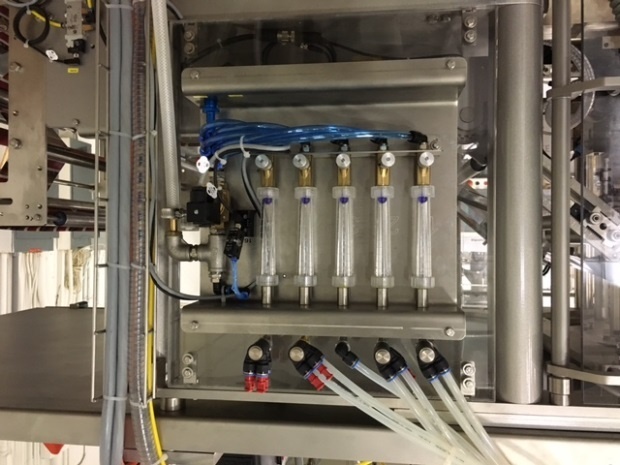 You might be asking yourself, “How do I achieve these low residual oxygen levels with my vertical, form, fill and seal machine?” When a coffee customer requires a residual oxygen level of 2% or less, Rovema recommends a special closed system, this being our Aroma Perm Gas Flushing System. The special Aroma Perm Gas Flushing System was originally developed to meet the stringent oxygen levels for the infant milk powder industry. With its success, our coffee customers can also reap the benefits of this system to obtain unsurpassed residual oxygen levels. 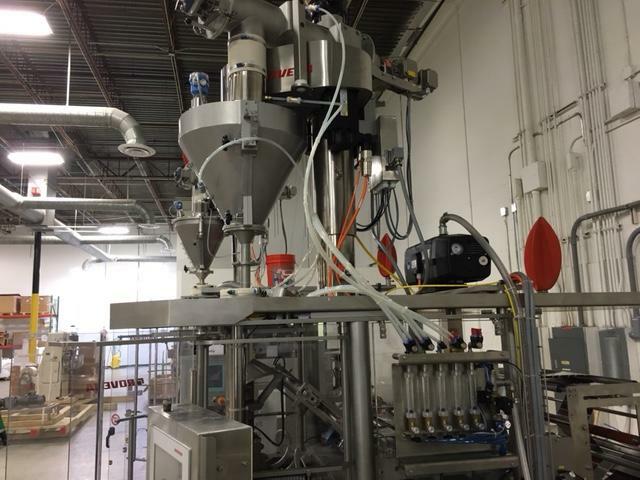 Integrated into our vertical bagger, the proven Rovema Aroma Perm Gas Flushing system is a closed system that features inlets ports and control valves to flush nitrogen into the auger hopper, forming tube, and optional horizontal cross feeder. The system also has a control valve to flush nitrogen into a customer’s supplied storage bin above the auger if applicable. The system features a compensation balloon that creates a closed system to prevent air from entering or leaving the hopper. Rovema has several coffee customers achieving residual oxygen levels around the .08% level with the Aroma Perm system to meet the most stringent requirements. Once you have achieved the “perfect” bag with gas flushing, it is important to monitor and test oxygen levels in the package for quality control/assurance. There are a couple of devices that can be used to ensure the appropriate levels of oxygen are being achieved. 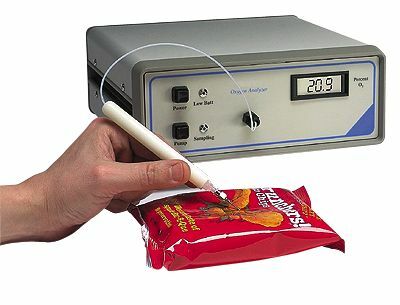 The most common device is a bench top head space analyzer used to measure oxygen levels in a sealed bag that is randomly taken off the packaging line and tested by Quality Control. 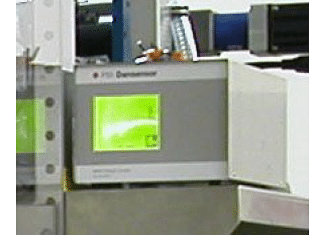 The alternative to the bench top head space analyzer is an on-line analyzer that continuously monitors oxygen levels during packaging and it is part of the packaging machine system. The on-line analyzer makes sure the MAP system is always working properly to keep your coffee fresh. 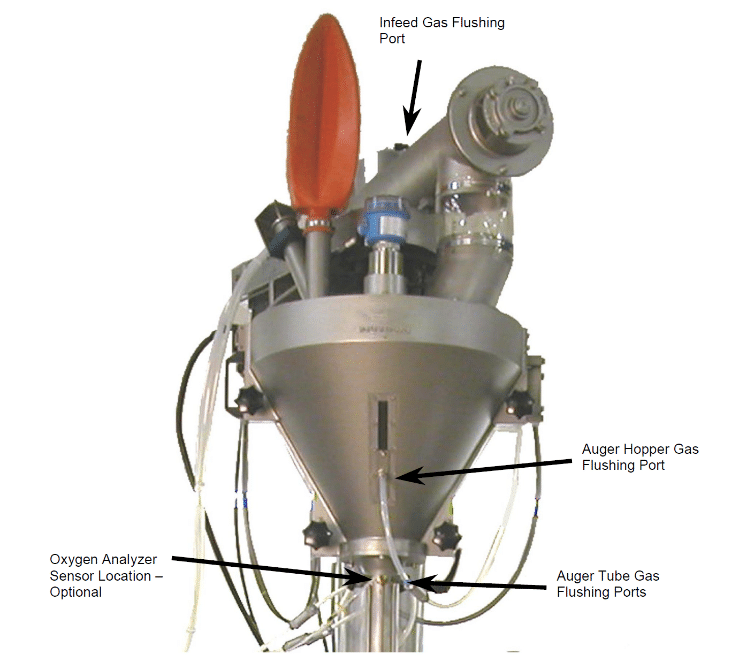 The on-line analyzer can also automatically regulate the gas flow and ensure oxygen levels stay at a predetermined amount. Happy roasting and here is to keeping your coffee packaging fresh! !